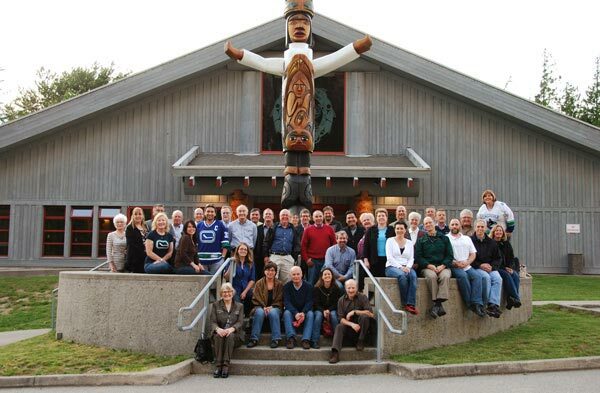 A board meeting held at Totem Hall, Squamish Nation in 2011. Here’s a quick overview of the Fraser Basin Council Board and Committees. For current members, see: FBC Directors and FBC committees. The FBC Board has 38 Directors — representatives from all orders of Canadian government within BC, together with people from the private sector and civil society, and an independent chair. This is a unique partnership of diverse interests, with all FBC Directors sharing a common focus: to advance sustainability. For a look at the mandate and membership of each, see FBC Committees.